For more than a decade, I documented one man’s deportation, the impact on his family and his eventual return to the U.S. I did this as part of my work studying the migration of indigenous Mayan refugees from Guatemala to Mexico and the U.S. My telling of the story of this man, who I’ll call Alex to protect his identity, is forthcoming in the journal Representations. I believe it can help shed light on the human consequences of deportations and family separations – and the enormous risks deportees are willing to take, irrespective of walls, fences, and the danger of reuniting with their families. Alex was born in a refugee settlement in Chiapas, Mexico. His family is one of more than 200,000 Guatemalans who fled a protracted war, supported by the U.S. and its allies, that largely targeted the indigenous people in Guatemala. In Mexico, barriers to legal status barred refugees from formal employment. To improve his family’s situation, he decided to enter the U.S. through a human smuggler, often referred to as a “coyote,” in 2000. He worked at a meatpacking plant and sent money to support his parents in Mexico. Two years later, Alex fell in love with his wife, who we’ll refer to as Grace, a Guatemalan national. Grace arrived in the U.S. in 1999, also with the help of a coyote, to join her parents who enrolled her in elementary school. Grace too was smitten, and in 2002 she decided to forgo her high school senior year to be with Alex. One year later, Grace gave birth to their first child. In December of 2006, Alex was deported, without a hearing – a violation of international human rights law – in one of the largest immigration raids in U.S. history. He was separated from his wife and 3-year-old child. Family separation due to deportation is common. It is also a violation of the American Convention on Human Rights. Article 17 of the Convention, signed by the U.S. in 1969, states: “The family is the natural and fundamental group unit of society and is entitled to protection by society and the state.” The statement of this principle underscores how deportation violates one of the fundamental rights protected by the Convention – the rights of the family. Back in Mexico, Alex faced a lack of job opportunities, compounded by racial discrimination toward indigenous peoples. Meanwhile, Grace, faced economic instability in the U.S. without Alex’s income. Even so, she advised Alex to stay in Mexico, due to her fear of more raids and concern over increased criminalization to punish unauthorized migration. In addition, under enforcement priorities initiated under George W. Bush, unlawful entry and re-entry would initiate a new era in the criminalization of migration that involved the creation of new classes of “felonies” that apply only to noncitizens. Six months later, Alex’s wife and their son joined him in Chiapas, Mexico – becoming what are often referred to as “de facto” deportees. Studies have identified how deportees face stigma and discrimination upon return. National origins, language abilities and presumptions of why one was deported can become significant factors in the reintegration to home countries or the countries of spouses or parents. For example, Grace is a Guatemalan national and could not seek legal employment in Mexico. Despite their reunification, Alex’s family continued to face significant hardships in Mexico. Alex’s friend, a coyote, informed him that he could make a livable wage working as a coyote and stay close to his family. Alex decided to explore this alternative. Alex’s participation in a human smuggling network came with enormous risks. One day, for example, armed bandits surrounded a group of migrants he was leading across the U.S.-Mexico border and confiscated their belongings. Alex ran into the desert bush and escaped to the U.S. side of the border. After a night in the desert without food or water, Alex returned to Mexico. He later learned that the bandits had taken the migrants hostage, but that they were released after relatives in the U.S. paid an undisclosed ransom. Alex returned home and informed his wife and parents of the incident. All insisted that he no longer continue to work as a coyote. A large body of research documents how the militarization of the U.S.-Mexico border has led to a militarization and reorganization of drug trafficking organizations. Drug cartels can interfere with smuggling networks, making migrants even more vulnerable to assault or being forced to transport drugs. Scholar Laura Ortiz argues that the increased participation of imposter coyotes, who recruit migrants only to extort them, has helped reinforce dominant perceptions of smuggling as intertwined with criminal syndicates. Despite this dominant perception, scholar Simón Pedro Izcara Palacios argues that human smuggling and drug trafficking are operated by different groups. Drug cartels are not directly involved with human smuggling, but instead extort fees from human smugglers. Indeed, Alex identified how cartels pressured smugglers to pay a user’s fee for crossing the Sonora-Arizona border. Failure to pay can result in violence. The risk of violence in coyote work, along with an absence of viable job opportunities in Chiapas, prompted Alex and his wife, now with four children, to make arrangements to join other family in the U.S. in 2015. Although Grace’s father is a U.S. permanent resident, he could not sponsor them through what politicians refer to as “chain migration” because he failed to meet annual income criteria – no less than 125 percent of the federal poverty level. Without legal options, Alex paid US$3,500 to a fellow coyote to take his wife and children over the border. This coyote successfully led them to a location on the Sonora-Arizona border where U.S. immigration officials at the time captured and later released migrants. Grace and her children turned themselves in to U.S. Border Patrol. Because of new legal protections for families and children in the U.S., Grace and her children were released following one night in detention. The U.S. government filed removal proceedings; and to provide an opportunity to appear before an immigration judge to adjudicate her case, Grace and her children received deportation relief. To help finance his family’s crossing, Alex decided to make a final clandestine crossing with eight migrants in the Sonora–Arizona corridor. Hours after beginning their journey, heavily armed men captured and held them hostage in a secluded building. A ransom was requested from U.S. kin of every migrant. Despite Grace’s offer to pay the ransom for his release, his captors refused. Instead, Alex remained captive for several weeks and was physically tortured. Eventually, he escaped his captors, but was stuck in the desert again. 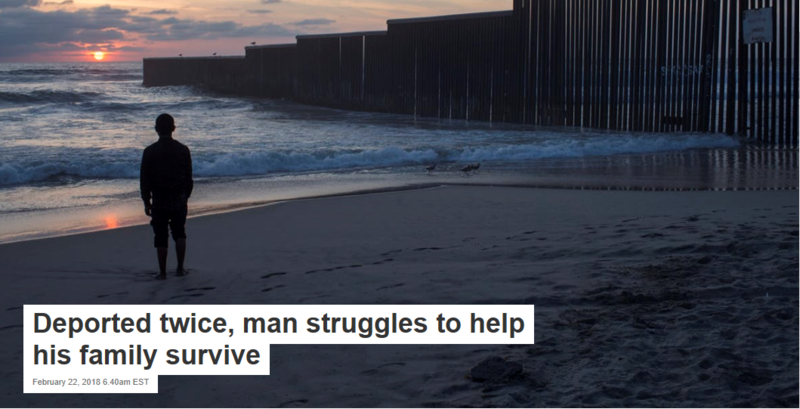 Without food or water, he turned himself in to U.S. Border Patrol agents who documented the physical wounds he sustained from his prolonged torture and placed him in detention. Alex’s previous unauthorized entry prompted what’s called a “reinstatement of removal,” a provision under the 1996 immigration reform that re-established the order of removal from 2006. At the request of his family, I located and covered the cost of an attorney. Because Alex expressed a well-founded fear of persecution or torture upon return to Mexico, his attorney advised him to apply for either a “withholding of removal,” or protection under the Convention Against Torture. Unlike asylum, neither of these remedies offer a path to permanent resident status. Additionally, the application would have required that Alex remain in detention – potentially six months to a year – during the adjudication of his case. Scholars have noted how prolonged detention can exacerbate post-traumatic stress and other harms that asylum seekers and their families may have suffered in their own countries. Others have identified how prolonged detention compromises due process protections that violate international human rights law and coerce migrants into surrendering to deportation. Several have identified how deportations can be tantamount to a death sentence. His family feared that he too may be killed following deportation and begged him to permit the attorney to adjudicate his case. Alex weighed his options and declined legal counsel. Following the end of his sentence and deportation, he returned to Chiapas. Within a month he made arrangements with another coyote and paid $7,000 to cross via the Chihuahua-Texas border. Like most who attempt re-entry following an apprehension, he succeeded, and is now reunited with his wife and children in the U.S.
Alex says he never wanted to be a coyote. His story provides an opportunity to understand the complex motivations that fuel unauthorized re-entry of deportee parents with family in the U.S. A 2009 Department of Homeland Security report states that 21 percent of re-entries are those without a U.S.-born child, while more than one-third of re-entries are parents of U.S. citizen children. Scholars have also shown how deportees like Alex, who are separated from families in the U.S., are more likely to migrate again than those without family ties. As the nation considers reforming immigration policy, it is important to remember that deterrence strategies are ineffective in reducing the intention to migrate, particularly among those with family in the U.S. Walls or even detention cells are no match for those with direct experience with crime and violence who have credible fear claims and those separated from their families in the U.S. In 2017, two years after Alex’s family’s reunification in the U.S., Grace appeared in court for her immigration hearing. 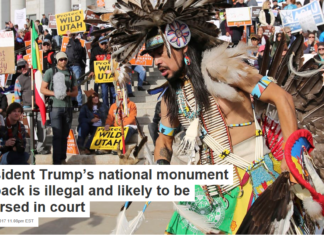 The immigration judge filed an order of removal. Like other returnees and recent unauthorized arrivals, both now face the threat of deportation. Until international protocols on the protection of migrants and their families are upheld, the U.S. will continue producing unauthorized persons or families who are at risk of deportation for years to come. Previous articleWhen the media cover mass shootings, would depicting the carnage make a difference?